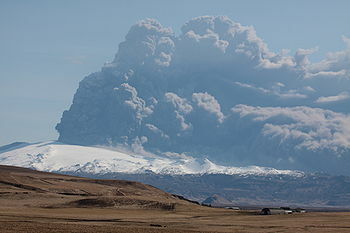 Following over a week of flight chaos caused by a huge cloud of ash from the erupting Eyjafjallajokull volcano there has been outrage at the settlement agreed with the enraged Icelandic resident, who many believe has held the European travelling public and airline industries to ransom. The Volcano is believed to have been bought off by airlines that realised that unlike a normal weather system, a Volcano may be able to keep its disruption up for decades, forcing many airlines out of business. Some carriers have had to run disrupted flight plans on increasingly convoluted routes through Spain in a desperate attempt to get passengers to their destinations, and avoid paying expensive hotel bills. Airline manufacturers and operators across the globe have gained more information and understanding of the impact of volcanic ash on aero-engines. This has led to the re-opening of European airspace and the gradual re-uniting of thousands of whining passengers stranded overseas with their moaning families back in the UK. Iceland has declined to comment on suspicions that following a year of economic turmoil, during which the entire country was effectively bankrupt, owing billions to international creditors, it raised some suspicions when the north Atlantic island was set on fire. Insurance experts will be scrutinising any insurance claims carefully. Max Clifford has said that his new client, the Eyjafjallajokull volcano, will reveal the full details of its explosive blow-up in a forthcoming exclusive interview with Heat magazine.